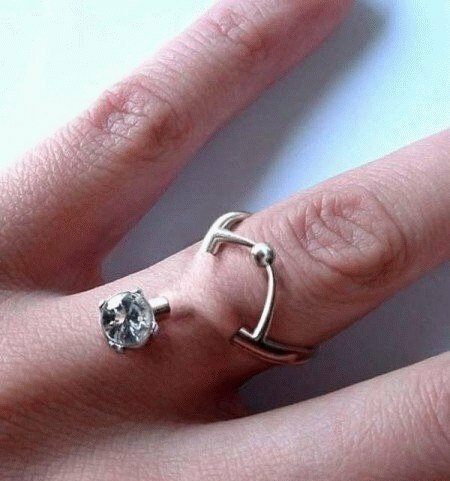 It is highly likely this piercing will reject, and just get pushed out through the skin, leaving an ugly scar. Dumb idea. Microdermals are much better. I’d do anything for love. But I won’t do that. No. It’s stupid. Mack is right on with the rejection. Anyway, it’s shopped. And it’s not the pixels: It’s that there’s no way you can get that thing through the skin, unless the Y-shaped part is not one piece, and it connects under the skin (EXTREMELY bad idea). this was my last gift to my girlfriend. seriusly….